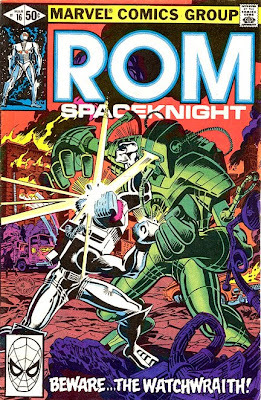 Original cover by Ed Hannigan and Al Milgrom; Marvel 1981. David Holsey's website is here. thanks Josh, and thank you Robert for posting this. 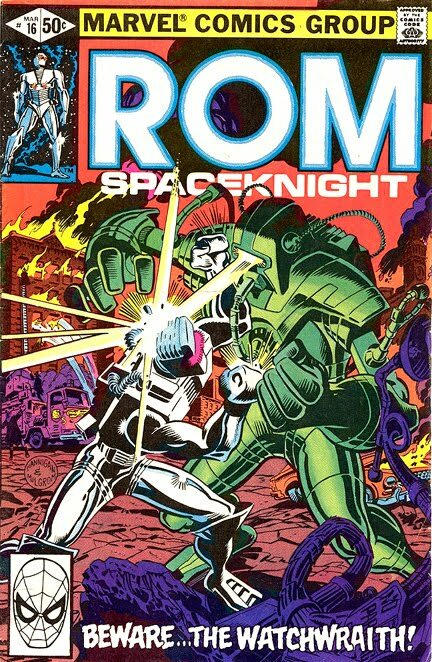 even with some of the big names at Marvel still being fans of Bill Mantlo's work on ROM, it never the less doesn't look like Marvel is ever gonna try to bring him back because of the legal ramifications involved. 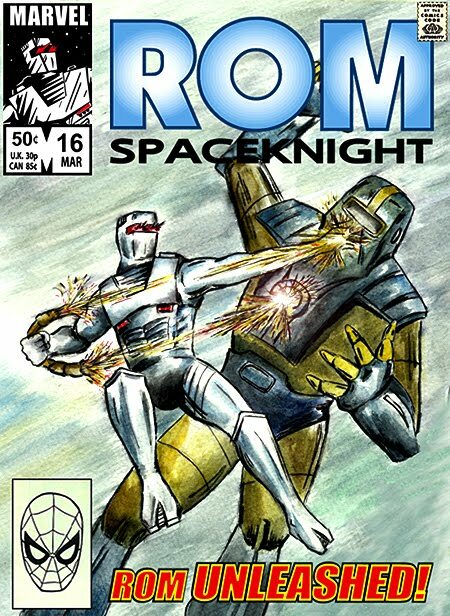 my version of the cover uses a portion of a water color painting i did for the 2010 Bill Mantlo Floating World Comics benefit auction. Adobe Photoshop & Illustrator was also used here as well. Dave is one of the most dedicated and artistically talented ROM fans on the net, so it's great to see his work getting props here!